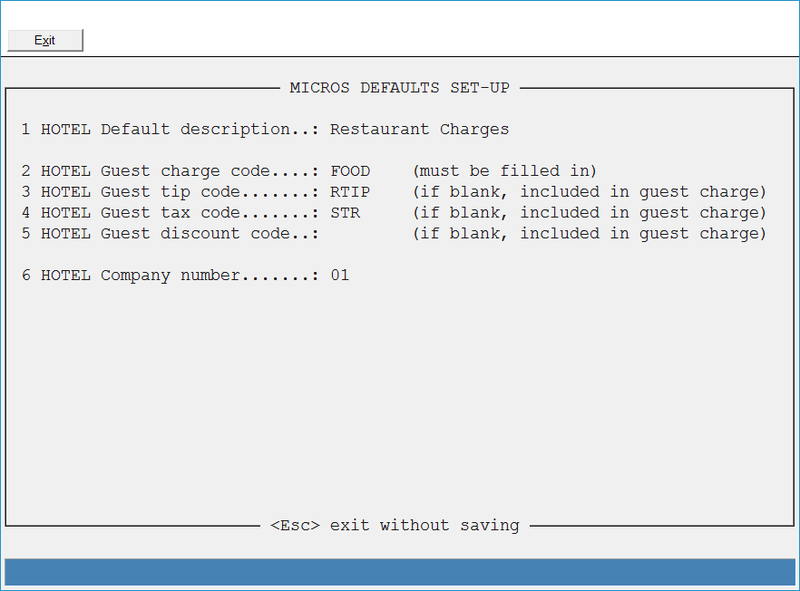 The Micros POS interface settings are accessed by using the Run Program by Name method. 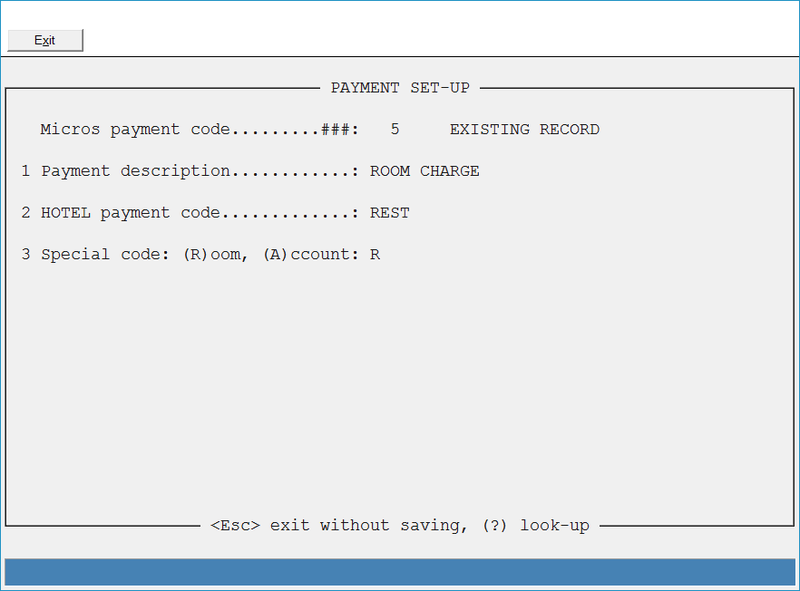 The program name you will use is "GAMICROC"
This is the Micros POS interface menu. 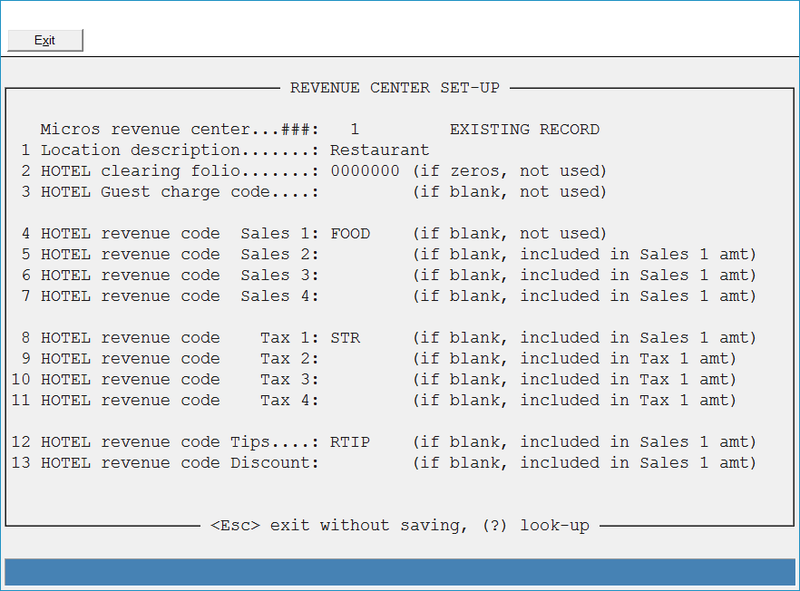 This is the screen where you define the codes used in the Execu/Suite PMS software when a charge comes in from Micros. This is where you set up the various revenue centers coming from Micros. 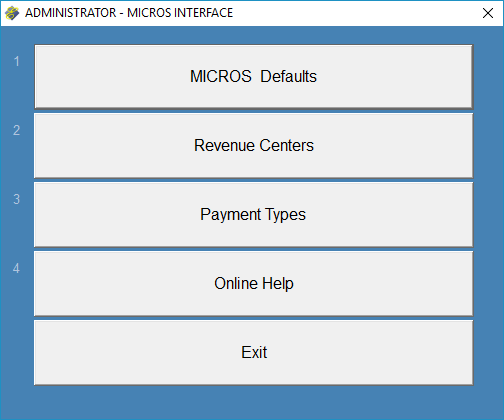 This is where you set up the various payment types coming from Micros.